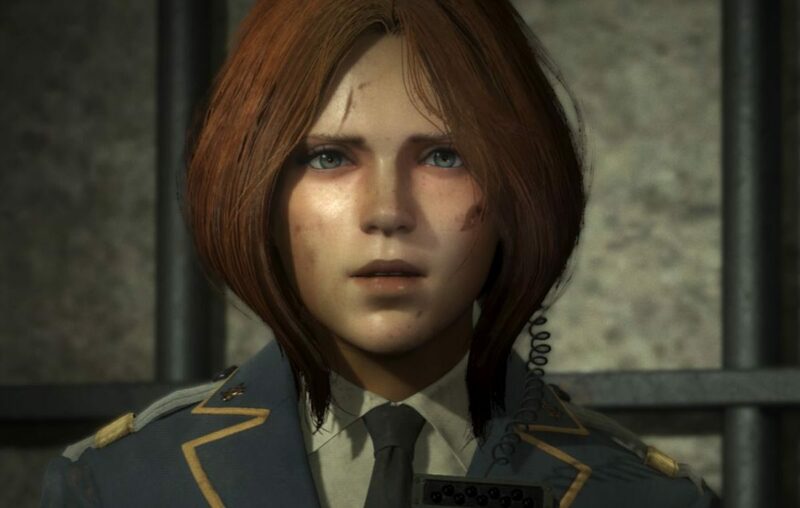 A little over a year ago, Square Enix surprised everyone with Left Alive, a brand new survival shooter set in the world of Front Mission boasting a star-studded staff. Now, a year later (including several months of silence), the game is getting closer to its release. In order to know more about what we can expect, DualShockers talked to Director Toshifumi Nabeshima and Producer Shinji Hashimoto. After explaining many interesting elements about how the game will play, they answered our questions on several additional aspects of the upcoming title. Giuseppe: Let’s start with a question that many would like to hear answered: what kind of percentage of the game is spent piloting Wanzers compared to the time spent on foot? Toshifumi Nabeshima: It’s actually quite difficult to provide specific numbers. This is a game about choosing different options on how to play. You don’t always have to ride a Wanzer if you don’t want to. You don’t have your own Wanzer, and you’re stealing the enemy army’s mecha. They’re going to be guarded and there are going to be a lot of enemy soldiers around them. You have to think whether you’re willing to take the risk to try and take these guys down to steal the Wanzer or not. If you don’t feel confident you can just pass them by and proceed on foot. The way each individual player decides to play decides how much of the game they’re going to be in a Wanzer. That being said, the game is structured in different levels and each one with different objectives. In some of them, you actually start in a Wanzer, and you pilot it throughout the stage. You seem to be a guy who likes robots, and you shouldn’t worry. You’re going to get plenty of time piloting them. Giuseppe: I’m wondering, does the choice of riding a Wanzer influence your ability to save civilians? You would certainly lack the precision that you’d have on foot. Could it be possible to accidentally kill them amid the chaos of battle? Toshifumi Nabeshima: There is no situation in which you can accidentally kill civilians. Giuseppe: So there is no friendly fire. Toshifumi Nabeshima: We have no friendly fire system in the game, even if it could be a good idea. Giuseppe: The old Armored Core team is kind of split at the core (pun entirely intended). 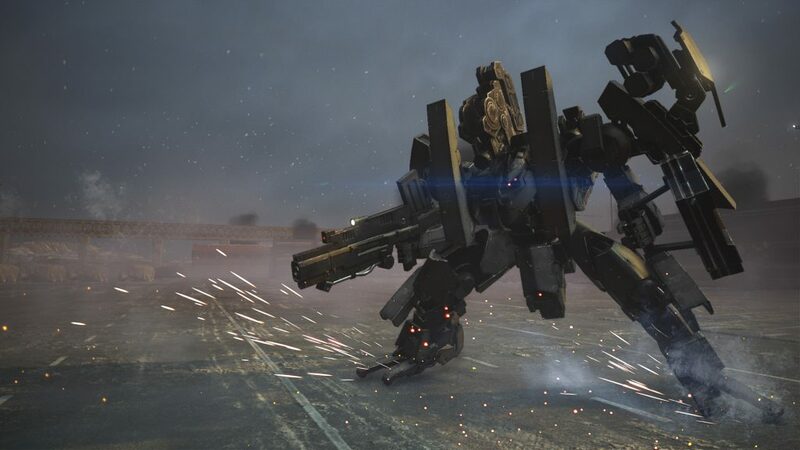 You’re working on Left Alive and Producer Kenichiro Tsukuda is working at Marvelous on Daemon X Machina. Is there any friendly rivalry on who is going to make the best mecha game? Toshifumi Nabeshima: [Laughs] I don’t really see him as a rival. He and I used to work together a lot. Now we work at different companies on different games, but we’re very supportive of each other. We want to see each other’s project do well. Shinji Hashimoto: [Laughs] I’ve known Kojima-san for quite a while now, we’re of similar age, and I’ve been speaking to him for a long time. I think it’s been over ten years, and he is someone I respect a lot in the industry. Besides games, I’ve also been in charge of Square Enix’s merchandising division as well. I’m not involved in that at the moment, but I have been looking after our action figures for a long time. In addition to doing things for our own properties like Final Fantasy, Kingdom Hearts, and Dragon Quest, we also do some second-party figures. If there is a series which has good characters out there, we want to help make them. We’ve done a lot of Metal Gear Solid figures, and obviously, as part of that, we have worked with Kojima-san and Yoji Shinkawa himself for quite a while. I’ve built a relationship and trust with them. When they went out on their own, we spoke, and I asked: “if you’ve got time and you’re free, maybe we can do something together.” Of course, coming with a sudden proposition and asking him to work on a game straight away would have been difficult, but since we had a long relationship going, it was actually easy to do. The timing worked out very well. Giuseppe: Have you ever thought of asking Kojima-san as well? Shinji Hashimoto: He’s very busy with his own game at the moment. I don’t think he’d have time to work on other projects. But like I said, we have a very good relationship with him, and maybe we could discuss something in the future. Giuseppe: Why did you decide not to include the name Front Mission in the title, considering that the game is set in the same universe? 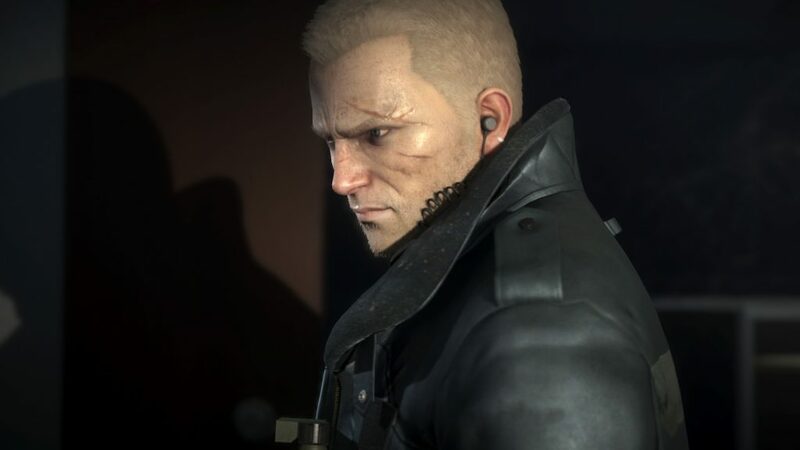 Shinji Hashimoto: We thought it was a way to show the newness of the franchise, and it would help to have a different name to show that it’s a new direction. It’s still very much Front Mission. We know that some know and love Front Mission. All the lore is still very much the Front Mission universe. The names, the Wanzers, the locations, the historical events in the series are all there. People who know Front Mission will get straight away that this is a Front Mission game. The name Front Mission is very closely tied to the idea of the traditional simulation strategy style of gameplay. To give that impression of a different genre of game, we changed the name. Giuseppe: Speaking of simulation strategy style of gameplay. Square Enix has been doing very well with old-school-style games lately. I’m thinking about Octopath Traveler for instance. 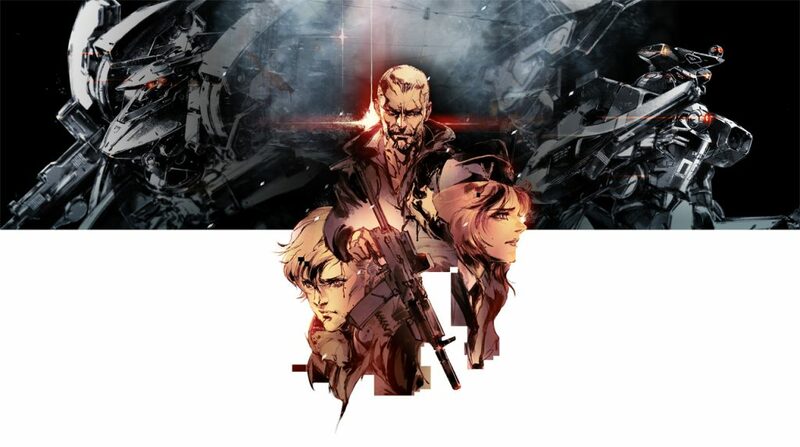 If Left Alive does well, would you be interested in creating a brand new Front Mission game featuring the traditional gameplay? Shinji Hashimoto: If the director of the project wants to take it in that direction, I’d support him on that. Giuseppe: I’d buy it. Two copies. Shinji Hashimoto: [Laughs] If Nabeshima-san wants to try different things like that, it would be very good to give it a try. Giuseppe: Nabeshima-san, the ball is in your court. What are your thoughts, would you like to try? Toshifumi Nabeshima: I do. There are lots of different ways you can do a simulation game. We could even try to do a combination merging action and simulation. Giuseppe: How close are you to completion? We haven’t heard much about the game for a long time, but it seems nearly finished now, even if I can see some elements that might still need some polish, like the facial animations. Toshifumi Nabeshima: Most of the elements are in the game. We just need to work on the balance and on polish, including the animations. Toshifumi Nabeshima: While it may not be directly about Dark Souls, something I learned in many years at FromSoftware is game design revolving about the idea of achievement and overcoming obstacles. That’s also very consistent in games I’ve worked on before like Armored Core, and I want to keep doing it in the future. I’m not saying that’s the absolutely correct way to make games, but simply how I like to make them. There are many different ways to think about how to make games and what they should give people, and certainly, there are many who think games should have broad appeal and please everyone regardless of skill level and effort. Of course, those games are perfectly valid, but what I like making and want to do is perhaps a bit more niche. Some will like it, and some won’t. I’m making games for people who love this kind of thing. Of course, it would be great if many loved what I make, but even if there are many who aren’t big fans of this kind of approach, it’s still what I enjoy making. Giuseppe: The game has been announced only for PS4 and PC, and when you started working on it, the Switch probably didn’t even exist yet. Now that it has proved itself, are you thinking about a possible port for Nintendo’s console? Toshifumi Nabeshima: Our first mission now is to get the PC and PS4 versions released as well as they can be. Once that is done, we’re going to look into other possibilities as well. 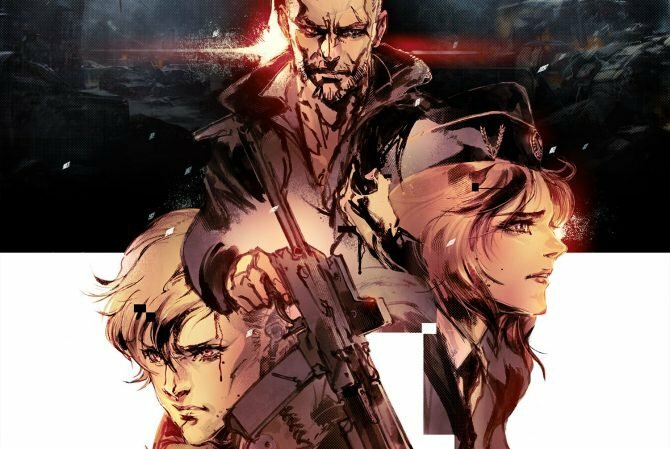 Giuseppe: Is Left Alive intended to be a one-shot game, or you’d maybe like to turn it into its own franchise? Shinji Hashimoto: Of course this is a big new direction for the series. 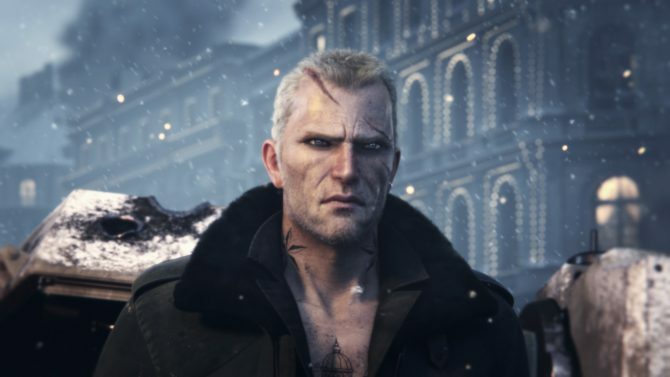 There are a lot of challenges and new concepts, so we need to see what the worldwide gaming audience thinks and how they react to Left Alive. Once we digest and analyze that reaction, we can decide whether we want to carry on with a series. Giuseppe: Is this a purely single-player game, or there is some multiplayer as well? Toshifumi Nabeshima: It’s very much designed to be a good solid single-player game. At its core, it’s a single-player experience from start to finish. Although there are some small online elements. It’s not a full versus or co-op mode. Giuseppe: Are you talking about things like online leaderboards? Toshifumi Nabeshima: More information on this will be revealed at a later time. Giuseppe: How relevant is the storytelling in the game? I think nowadays we’re seeing a resurgence of story-driven games on a worldwide level. Toshifumi Nabeshima: When we started planning the project and decided what kind of game it would be, I looked at all the past Front Mission games, trying to work out what is the essence that makes the series what it is. The story is obviously a very important part. Front Mission has a very deep world with very detailed lore. Deep characters are also among the elements which make Front Mission what it is. For this game, I thought those elements were very important. We have a very substantial story, and that’s a big part of the game. I think we managed to create a story that really fits the Front Mission universe well. In my opinion, it’s a proper Front Mission story, and it’s a very important part of the game. 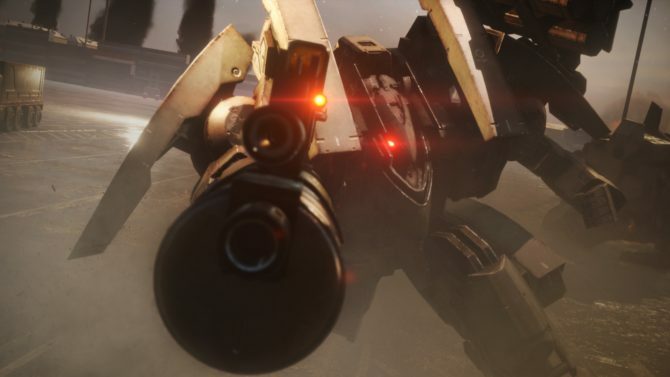 Giuseppe: You have worked on Armored Core games for a long time, and excluding Front Mission Evolved, which was developed externally, fans of the franchise have never really piloted a Wanzer. What was your approach to that? Toshifumi Nabeshima: I paid a lot of attention to creating a balance between the sections in which you’re on foot and those in which you pilot a Wanzer. During a large part of the game you’re on foot, so you will progress very careful, avoiding detection. My aim with the Wanzers was to create a counterpoint to that, letting you feel strong and powerful, able to take on the world. They had to have a feeling of weight and heft, but they also needed to be fast and satisfying. Giuseppe: This may sound a bit crazy, but the setting would certainly lend itself perfectly to a Battle Royale type of game like Fortnite. Have you ever thought about it, maybe for a spinoff or a post-launch feature? Toshifumi Nabeshima: That’s a very interesting prospect, but we have this game to finish for the moment. After that, we might think about different things. It sounds like a good idea. If we’re very successful and there is ever a discussion about making an online version, this could be a good setting for it. 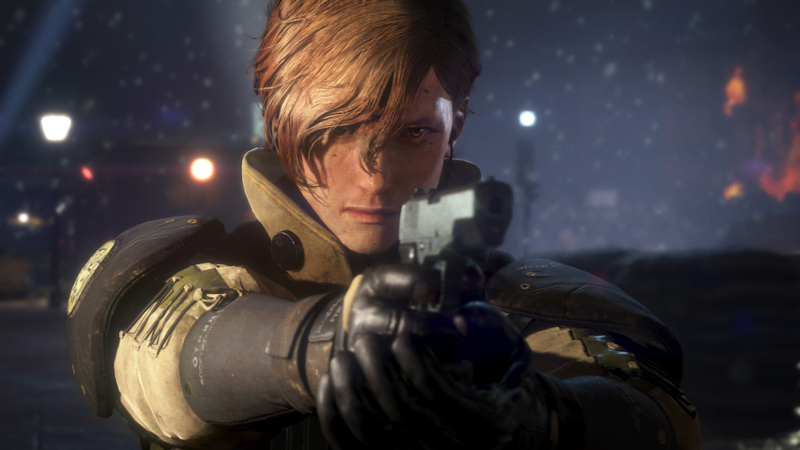 If you want to learn more about Left Alive, you can enjoy the latest trailers, the first gameplay, and a large batch of screenshots and story details. The game will release in Japan on February 28th, 2019 for PS4 and PC, and it’ll come west on March 5th for the same platforms. You can already pre-order it on Amazon.